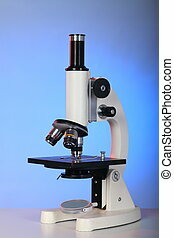 Microscope lab research equipment. 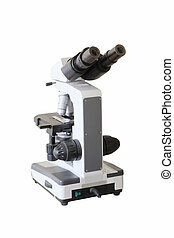 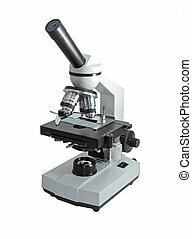 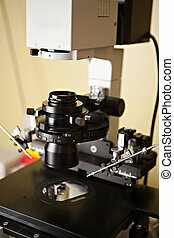 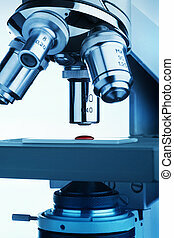 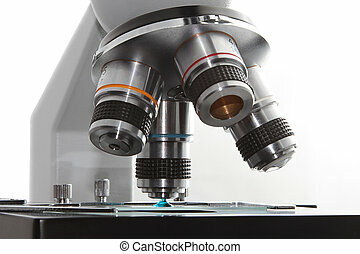 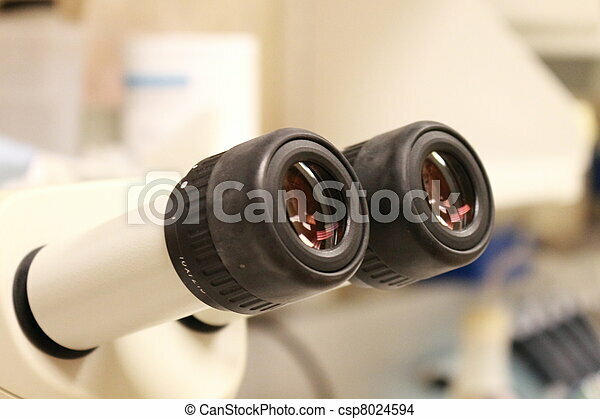 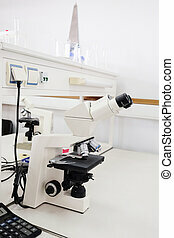 Microscope eyepieces, medical, biochemical, biological and research in-deptch tool. 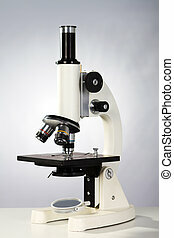 Microscope machine for research experiment in Lab room. 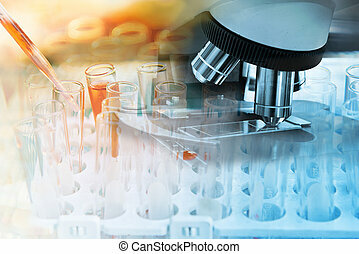 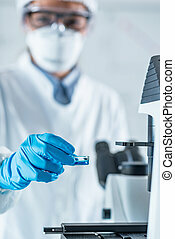 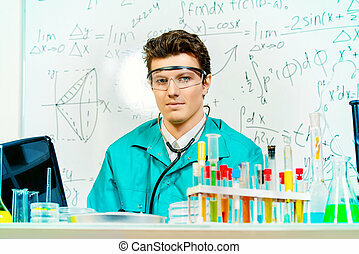 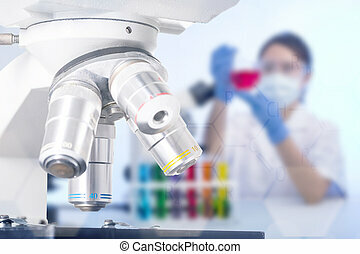 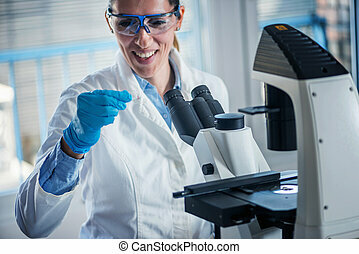 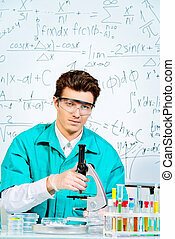 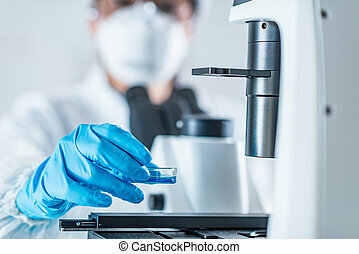 Male scientist working in the life science research laboratory (bacteriology, chemistry, genetics, forensics).